The Disability Resource Service | Ratonga Whaikaha (DRS) and Student Care | Atawhai Ākonga are moving into the Forestry building next week. 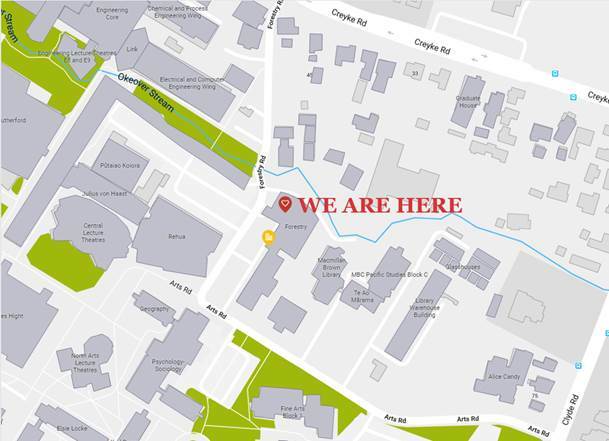 On Monday 4 and Tuesday 5 March they’ll be relocating to 125 Forestry – the area by the level 1 main entrance next to Student Experience and Student Success. The move brings together some of our key teams and services that support students in one location – making it easier for students to access them. DRS and Student Care will be available to students during the relocation on Monday and Tuesday so please continue to refer students to these services. The Disability Resource Service is changing its name to the Equity and Disability Service to better reflect the services and support available to students. From next week you might start to notice this change on the website and signage.